With Wasteland 2’s beta a month in – a beta that kicked up all manner of nostalgia for me – the hive at inXile has had a lot on its plate, revealed Brian Fargo in an update on Kickstarter, and the work is only going to continue. 8000 suggestions, bugs and comments have been made, 500 new discussion threads have been posted, and 1800 tasks have been generated for the development team, so there’s a lot that Fargo and co. want to address, fix and add to Wasteland 2 before it’s ready to launch. Other tasks that inXile has set itself are increasing reactivity and connectivity in towns, overhauling medic and surgeon abilities, improving the UI and tweaking pathfinding. 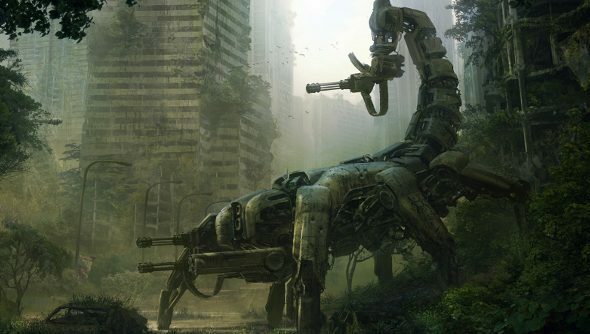 It sounds like there’s a lot more work that’s going to go into Wasteland 2, though it’s already doing a lot of things right, capturing the spirit of the original game along with the likes of Fallout and Fallout 2. In the mean time, the first of three planned novellas, All Bad Things, is close to completion, and Kickstarter backers should receive their copy in the next few weeks.